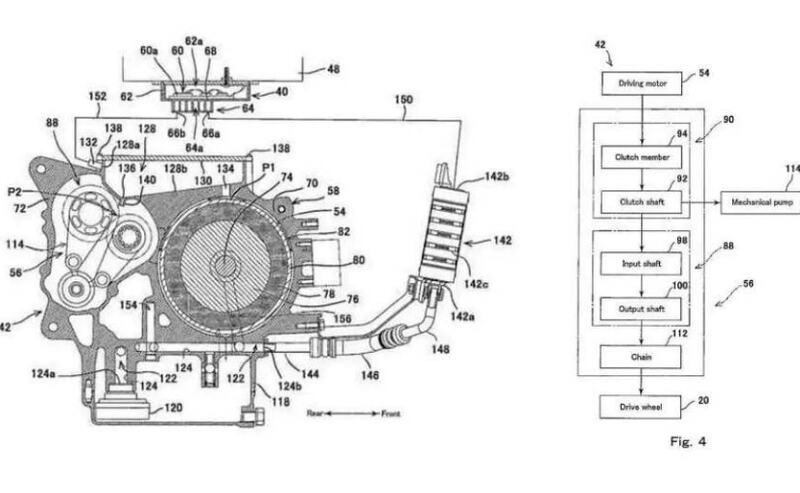 The latest patent images reveal that Kawasaki may be working on an electric-powered motorcycle, with possibly a gearbox and clutch. Kawasaki may be working on an electric motorcycle model after all, as latest patent images reveal. 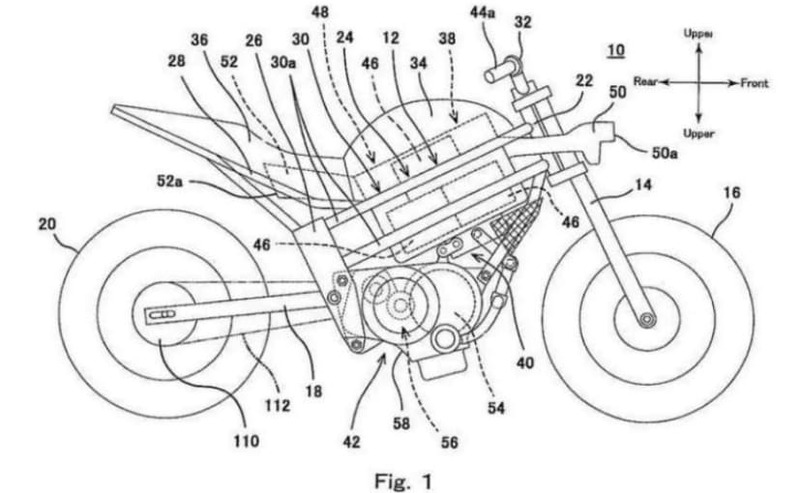 The new patent images show a conventional motorcycle fitted with a battery pack under what looks like a dummy fuel tank, while the electric motor is placed underneath with what appears to be a clutch, hinting probably to the inclusion of a gearbox. While patent images don't necessarily mean that this will be a production model, what is clear is that Kawasaki is indeed working on electric technology. Whether it makes it to a production electric motorcycle still remains to be seen. Two drawings have been revealed which reveal some interesting details about the bike. What is noteworthy is the large air scoop that sits in the front of the bike, and it's in a position where air inlets are positioned in internal combustion engine motorcycles to cool the engine. The air scoop will possibly be used to cool the electric motor or the battery, or both, although it still isn't clear from the images how far advanced the development of the bike in question is. Either ways, it's clear that Kawasaki is looking at using some unique technology, including assisted cooling, as well as possibly the inclusion of a gearbox. This is not the first time an electric concept, or something resembling a concept at least, has emerged from Kawasaki. The clutch and possibly a gearbox (whether manual or a DCT-style automatic) could make the electric motor spin more efficiently, and a geared electric motorcycle will certainly be more engaging to ride (like a conventional internal combustion engine motorcycle) than the gearless electric motorcycles that we have seen so far. In any case, it's early days yet to come to any conclusion from the patent images what exactly is Kawasaki working on. One thing is clear though. With the future of motorcycles looking ever more certain to move to electric power, Kawasaki will be looking at developing something interesting, and possibly with the technology and performance to take on the best in the electric two-wheeler space when it's finally ready as a concept or prototype.